General health & healthcare topics appear on our sister site. See Contents of “The Patient’s Path” Health & Healthcare Site to be automatically redirected to the list of posts. 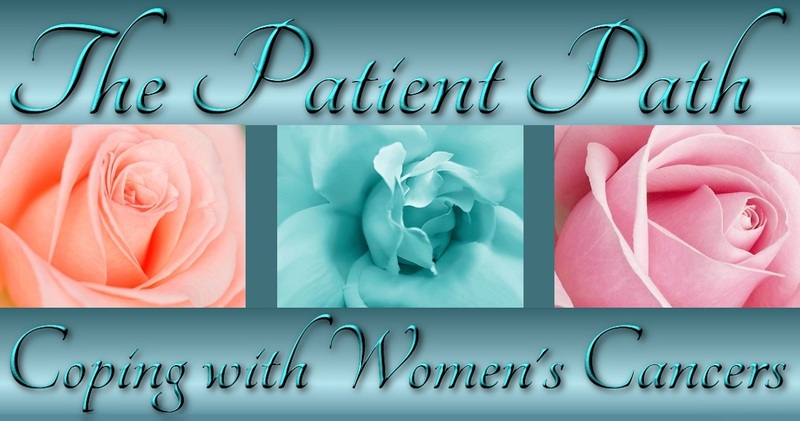 My Story – Uterine (Endometrial) Cancer Story: Two-and-a-Half-Year Checkup – Pap or No Pap? Serenity – Could it be yours, no matter what? My Story – Uterine (Endometrial) Cancer: What do Gatsby, Miss Piggy, and the Devil have in common? “Fashioning Cancer”: I didn’t know how not to share this . . . Words You Need to Know for Easter Sunday–the Day before “Maundy”? Thankful Thanksgiving! And Thanks to All of You . . .